Hatchet has a mild steel body, with a cutting edge of 1080, and a "stone washed" finish, hickory handle, finished out wtih Tru-Oil. Knife is 1084, differentially heat treated (10" blade), with Desert Ironwood scales, and texturing on the spine. 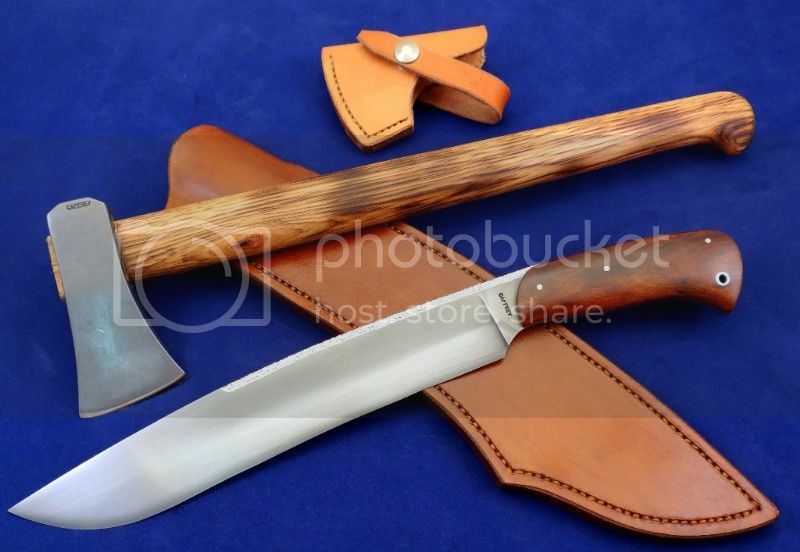 Both sheaths are 8-9oz veggie tanned leather.